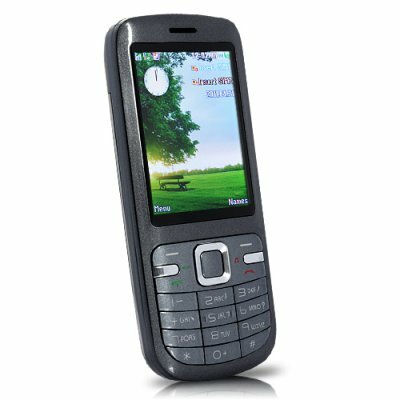 Successfully Added Everlast - Dual Battery Dual SIM Quad Band Mobile Phone to your Shopping Cart. You asked for it and we listened. Now, behold Everlast - the world's FIRST Dual Battery, Dual SIM, and fully unlocked Quad Band Mobile Phone. We all know what it feels like... you didn't recharge your phone the previous night, your phone powers off in the middle of a call, then you lose contact with the whole world for a day. Your wife is worried sick, your boss is furious trying to find out where you are, and a potential business partner just went with someone else because they couldn't contact you. All because your phone couldn't keep up with your busy life. Two batteries, two status indicators, one amazing phone - that's the Everlast. The extra power source is immediately ready, which means when one battery completely drains out you are automatically switched to the other one, letting you continue your conversation. Even better, we include two more backup batteries (4 batteries total) that can be replaced without powering off the phone. Think being able to hold 2 batteries means this mobile phone is sacrificing specs and functionality? Think again. Incorporating the latest in advanced mobile engineering, the Everlast Mobile Phone still contains ALL of the essential features that you need from a phone: SMS/MMS messages, MP3 player, a camera and camcorder, FM radio, Bluetooth, Java (with Facebook and Twitter applications included), and so much more. Remember when dual SIM phones were all the rage? You showed it off and your friends and colleagues went completely gaga... Well, those days are back, because you can be sure NOBODY has seen a dual battery phone yet - except you. Order now and cash in before the craze hits! Brought to you by Chinavasion, the leader in wholesale electronics and mobile phones. Wholesale price + dual battery novelty = expected to sell like hotcakes! Switch SIM cards while the phone is on! How long can I keep this phone powered on for? Approximately... forever. Since it comes with 4 batteries, keep 2 in the phone and recharge the other 2. Then, when the 2 in the phone are almost out of juice, you can switch the 2 fully charged ones without having to power off the phone! Never miss a call again. I HOPE MORE THIS PHONE OK?